Northern Ireland after its send-off match in May. The team is one of five making its Euro debut. PARIS — It is an established rite, a time-honored tradition: Before every major soccer tournament, each participating team hosts a send-off match in which the players get one last runaround, one final standing ovation from a stadium full of devoted fans in a game against a (relatively) hapless opponent. For years, Northern Ireland was that opponent. 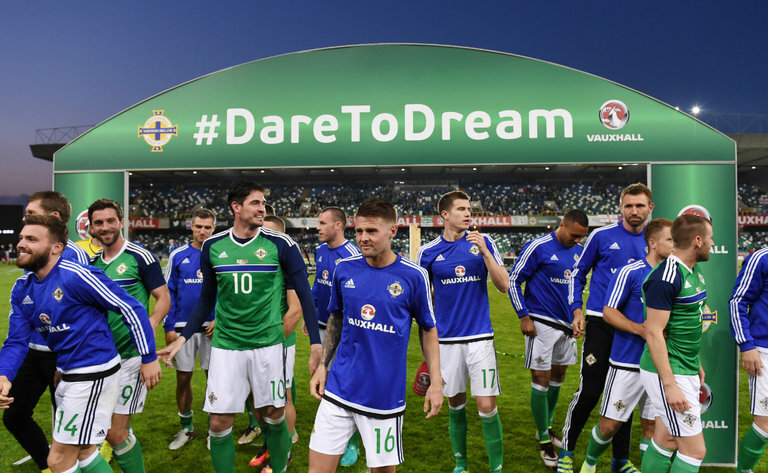 Before the 2010 World Cup in South Africa and before the 2014 tournament in Brazil, Northern Ireland made transoceanic crossings to be, essentially, an afterthought. One year, it was in Chile; another, in Uruguay. Contributing Op-Ed Writer: For Baseball’s Hall of Fame, Do Statistics Alone Still Matter?